So the mystery question: is breast tightening really a thing and can you exercise to tighten your breasts? There is always a solution to everything, so the answer is yes. Over time your breasts go through many changes and unfortunately sagging is a big one. This is a normal part of the changes a woman’s body goes through and loose skin on breasts is a part of this. Although there might not be an exact age when this happens due to your genetics, typically women in their 40’s will start to experience these changes. Age may not always be the answer, some women may experience other breast sagging causes. With any information, it is always good to know the reasons that may be causing the issue you are dealing with. Among the many reasons your breasts may not be as firm, here are the top researched reasons. Age. This one may be obvious, but over time your breasts will lose the natural firmness they once had. Don’t worry, it’s still not too late to fix. Breastfeeding. To all of our lovely moms out there, we understand your baby is your first priority, but what happens after? Well, you have to deal with the nature of this situation. Sagging breasts is just a part of it. There are luckily a few breast tightening remedies we are going to share with you later. Pregnancy. Now I know you’re thinking that breasts just get larger with pregnancy, which can be true, but after pregnancy, your breasts may deflate. Some women are lucky enough to gain larger breasts and keep them, but others may have their breasts return to the size they were before leaving them loose and saggy. Menopause. Another one of life’s natural ways of showing us that we are aging. It is very typical and common for your breast tissue to shrink during this time leaving loose breast skin. Smoking. Yes, this habit has a lot of downfalls but your skin elasticity is a big one. If you can avoid this one, you will definitely see that it plays a big role in the appearance of your skin overall. Lack of Proper Nutrients. Eating the wrong foods and lacking nutrients can hurt your body entirely, but one area in specific is your breasts. Although the list of reasons can go on, these are a few main points that we wanted to make is that they are the most common. Fixing loose breast skin is not impossible, but it will take time. One of the best things you can do for your body is an exercise for breast tightening. Strength training your chest muscles is just as important as any other part of your body. Below are some of the best ways how to tighten breast skin. Begin in a standard plank position, be sure not to let your back-drop. Stay in a position to where you could place a board flat on your back without it being at an angle. Lift your left hand and left foot off the ground and step left, do this times 10. Then move on to the next leg and repeat. You can also rotate left to right if that is easier like in the video above. This is another great way how to tighten sagging breast and works best with a medicine ball. By using a medicine ball it requires you to use your stability through your abs, arms, and chest. If you are just beginning your journey with chest workouts, be sure to start with light weights. Place one dumbbell in each hand and lay on the medicine ball or on a workout bench. This workout you can do either on a medicine ball or standing up. This is a great workout for not only tightening your breasts but working your arms out as well. A lot of women want to know how to reverse sagging breasts, this is a key workout! Don’t leave this one out of your routine. Just like the workout above, lay on the medicine ball and or a workout bench with your weight. Fully extend your arms and lower the dumbbell behind your head. You should feel your chest getting tight. Be cautious not to extend back too far and do about 10 reps.
How to tighten loose breast skin without surgery? Now we have gone through some key workouts that you should be doing, but there is still more solutions that we want to fill you in on. This process can get tiring being that seeing results do not happen overnight. But just as anything else, you must work at it. Many women believe turning to surgery is the easy way out, and in a way it is. If you want a quick fix a breast lift is typically the route that women will take, but the repercussions of going through breast augmentation or a breast lift can be far worse than the procedure. We understand that loose breast skin is not pleasant and most women are in a rush for an immediate solution, but you should think about the afterlife of the procedure. We always recommend doing things organically and in this case, an olive oil massage for breast firming is a go-to remedy for many women. Olive oil is one of the most popular ingredients that we tend to use only in our kitchens, but why not make use out of the other benefits it has? Massaging olive oil on breasts for firming has been a life hack that many women were so thrilled to have found. 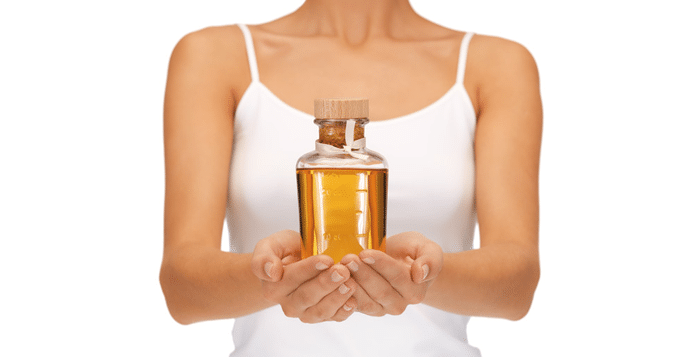 Other women call this secret “breast tightening oil”. Olive oil is extremely hydrating which is what helps produce healthy skin elasticity. Women have made claims that it has helped contribute to their breasts becoming larger and fuller. Due to olive oil is so rich in vitamin E which protects your body from damage to your skin cells, this is a wonderful remedy to use on your breasts. Another great remedy to help with loose skin on breasts is Fenugreek oil. If you’re looking for how to firm up breast skin and want fast results, Fenugreek is a leading ingredient. Fenugreek has been used for not only breast tightening but breast growth as well. You can add fenugreek oil to ginger oil and use this to massage on your breasts. 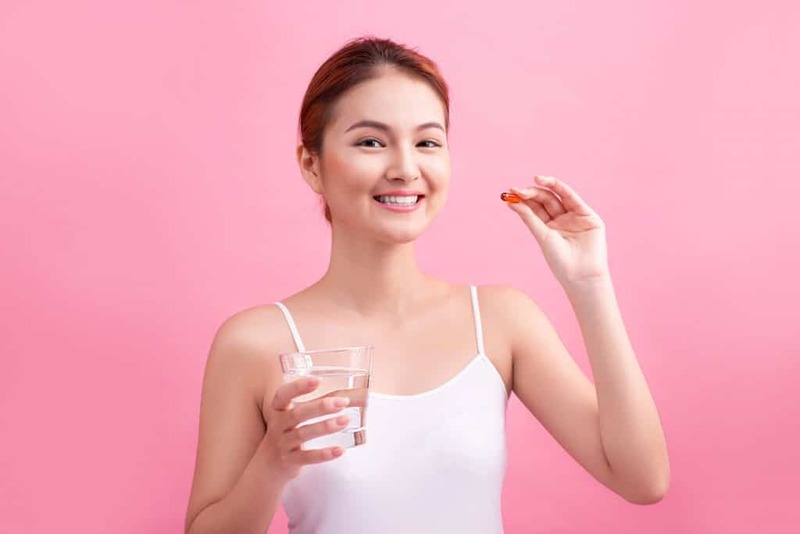 If you are not a fan of using oils or want to try something more direct, you can try taking fenugreek as a supplement. 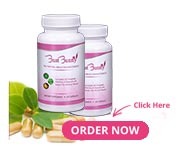 Bust Bunny has fenugreek as the main ingredient along with 12 other ingredients that have helped many women get rid of loose breast skin and firm up their breasts. If you are looking for ways how to reverse sagging breasts give Bust Bunny a try for 10% off today. Use coupon code “TightBreasts” or CLICK HERE to have it applied immediately.